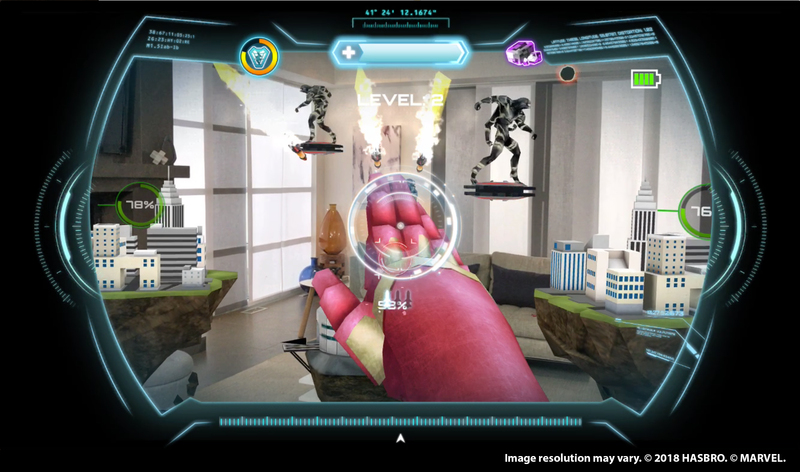 Battle like Iron Man with the Hero Vision Iron Man AR Experience! 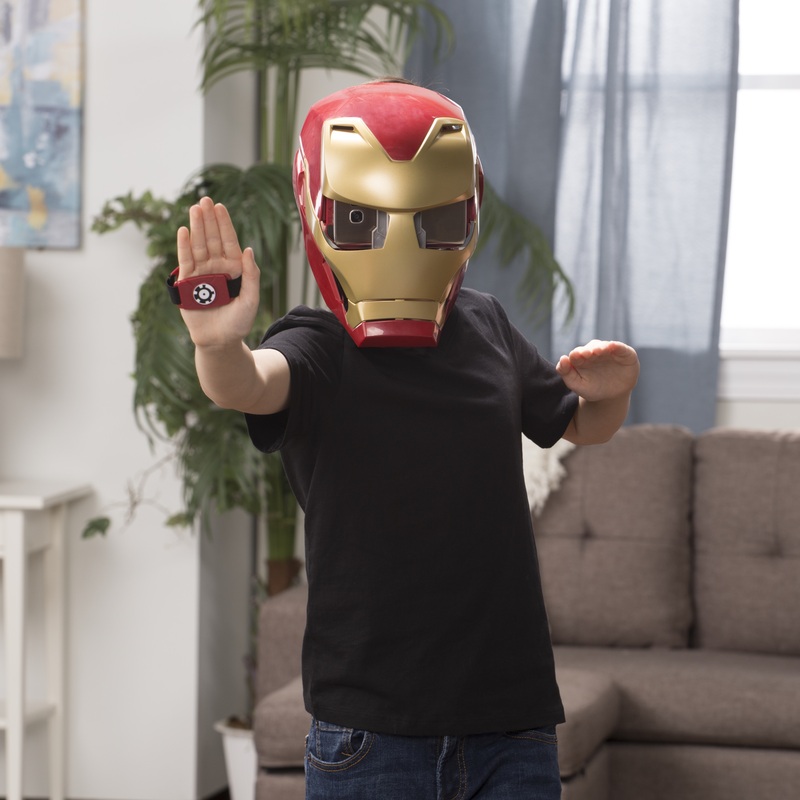 This movie-inspired mask features a new experience from Hasbro that combines iconic role play with Augmented Reality (AR) technology. 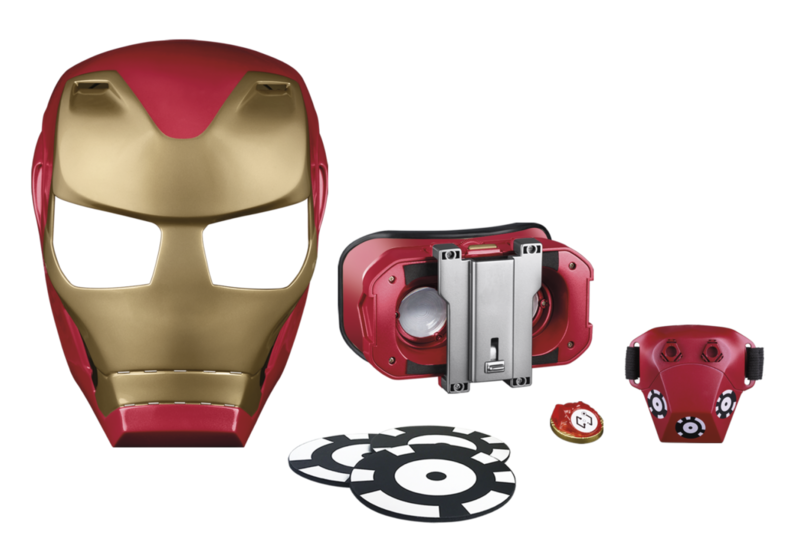 Includes AR mask, AR goggles, gauntlet, three AR markers, and one Infinity Stone for $49.99. 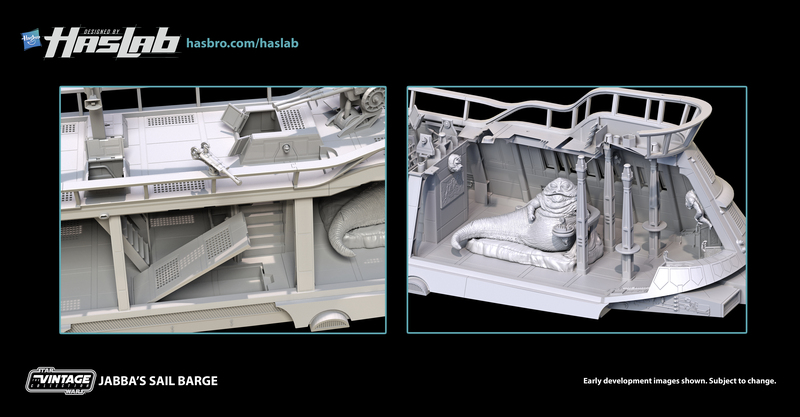 Available this Spring at most major retailers and on HasbroToyShop.com. 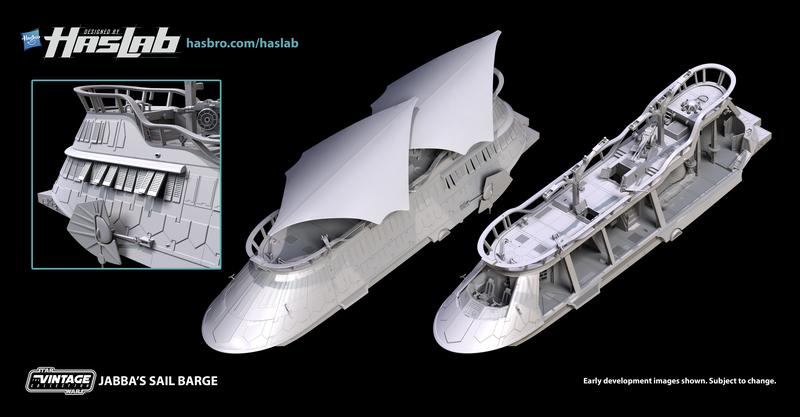 Starting today, fans can place a pre-order for Jabba’s Sail Barge for $499 at HASBRO.COM/HASLAB. If the goal is met, the product will go into production. 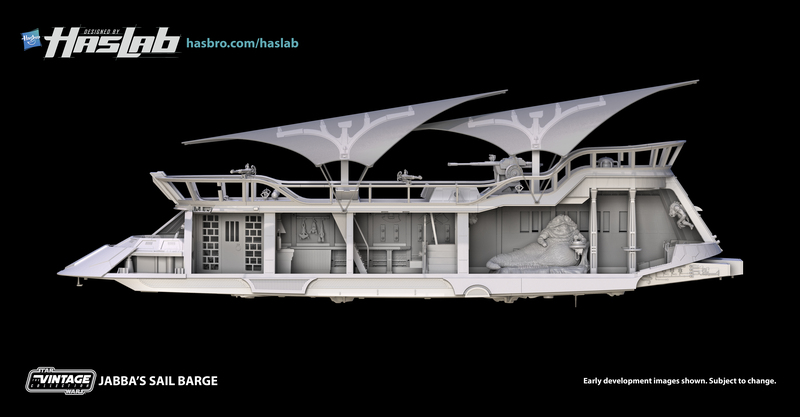 For more information on HASLAB and to follow the project’s progress throughout the 45 day pre-order window, visit HASBRO.COM/HASLAB and follow @HasbroPulse on social media. 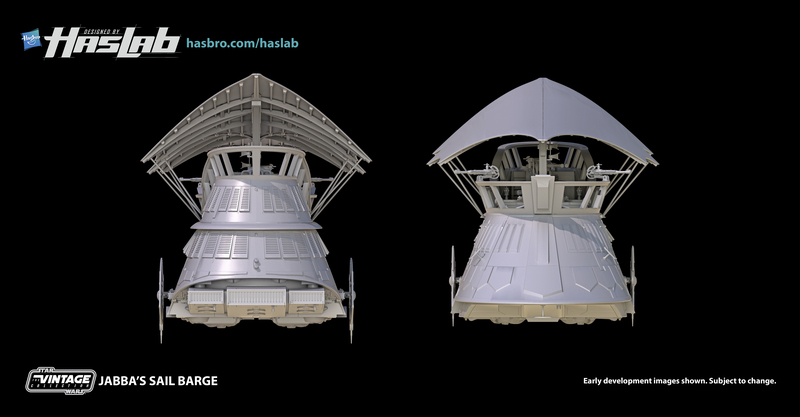 You can download assets using this link, and we appreciate you spreading the word. 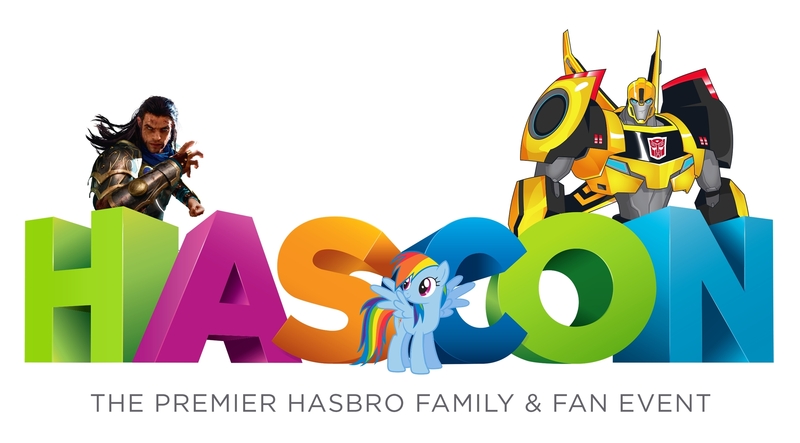 Today Hasbro, Inc., a global play and entertainment company, officially opened ticket sales for the first-ever HASCON FANmily event, which will take place in Providence at the Rhode Island Convention Center and Dunkin’ Donuts Center from September 8-10, 2017. Hasbro fans and families from around the globe can purchase single day tickets or three-day tickets for the convention, with VIP packages available for super-fans and the most enthusiastic collectors. 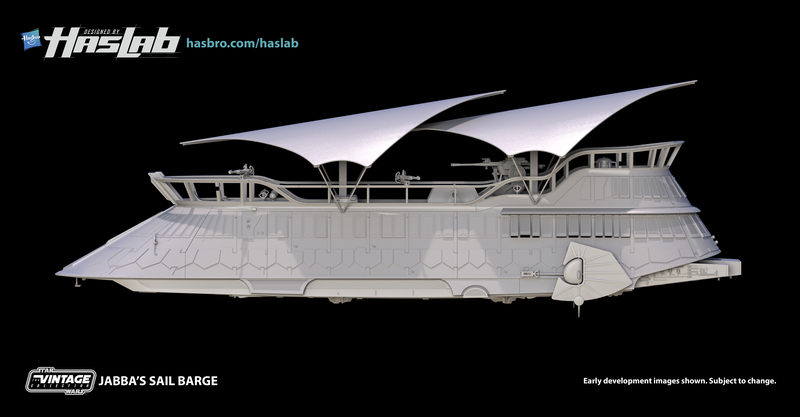 Today Hasbro also revealed the first round of talent appearances, panels and brand experiences set to take place during HASCON 2017. 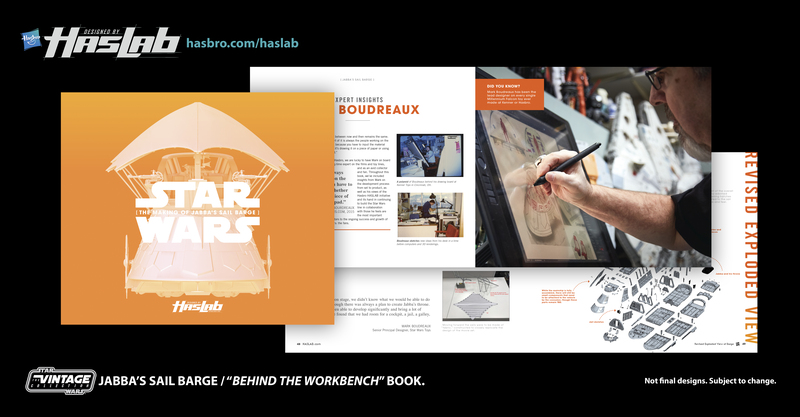 Appearances and meet & greets will be available with some of the biggest names from Hasbro, including Dude Perfect, Lorenzo Di Bonaventura (Producer of all the Transformers films, as well as G.I. Joe: The Rise of Cobra and G.I. Joe: Retaliation); Stan Lee (Marvel Comics Legend); Peter Cullen and Frank Welker (original Transformers voice talent); Andrea Libman and Cathy Weseluck (voice talent of My Little Pony: Friendship Is Magic and My Little Pony: The Movie), “Chewbacca Mom”, Candace Payne and more. 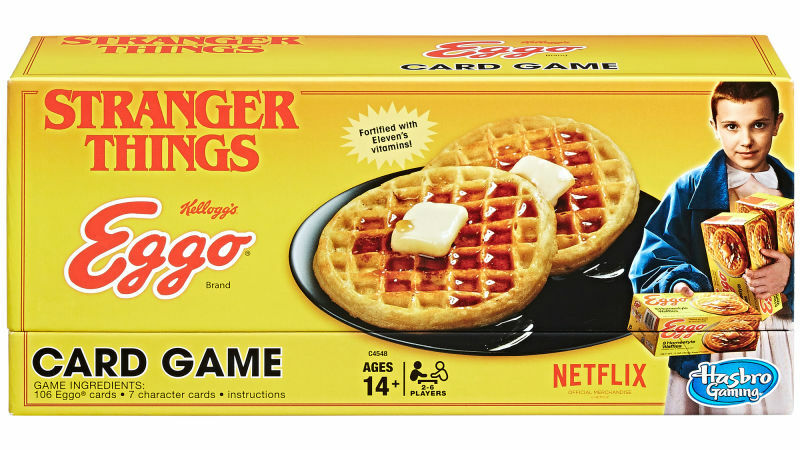 This unique event will bring Hasbro’s most iconic brands to life like never before, including Transformers, My Little Pony, Nerf, Magic: The Garthering, Play-Doh, Monopoly and G.I. 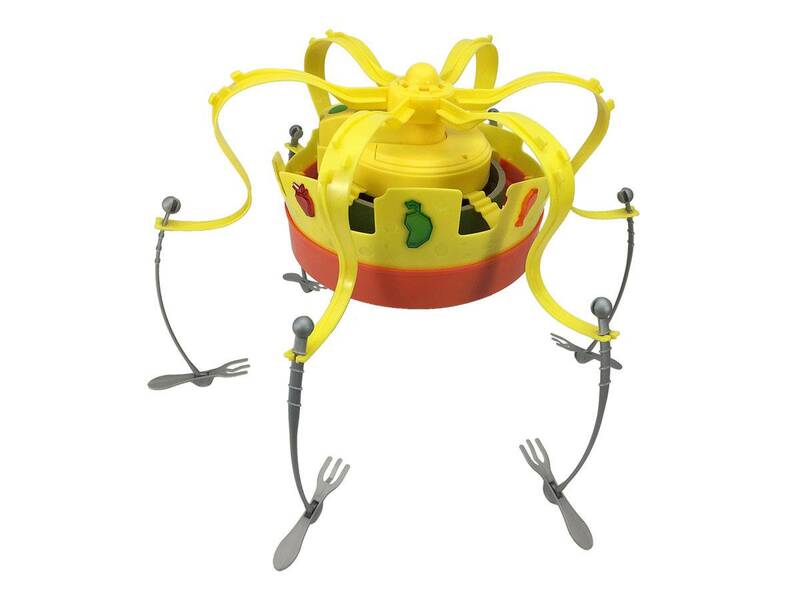 Joe, and exceptional partner brands such as Beyblade, Dreamworks Trolls and Sesame Street. 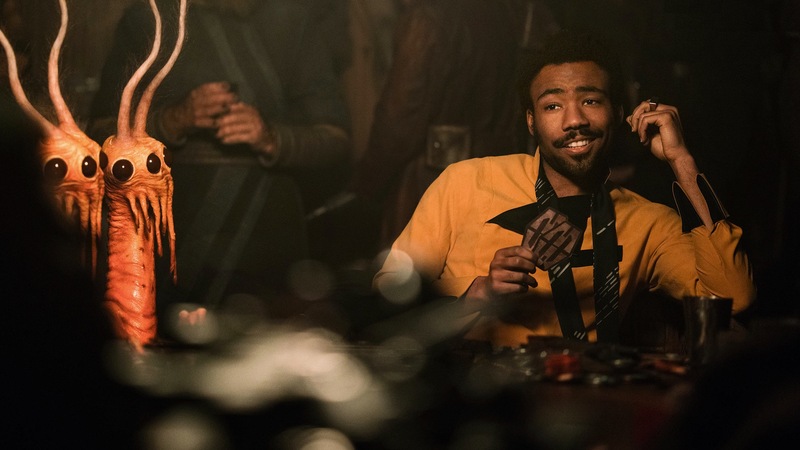 Fans will get a peek behind the Hasbro curtain during the three days filled with exciting first-look previews and panels from Hasbro’s biggest television and movie series. 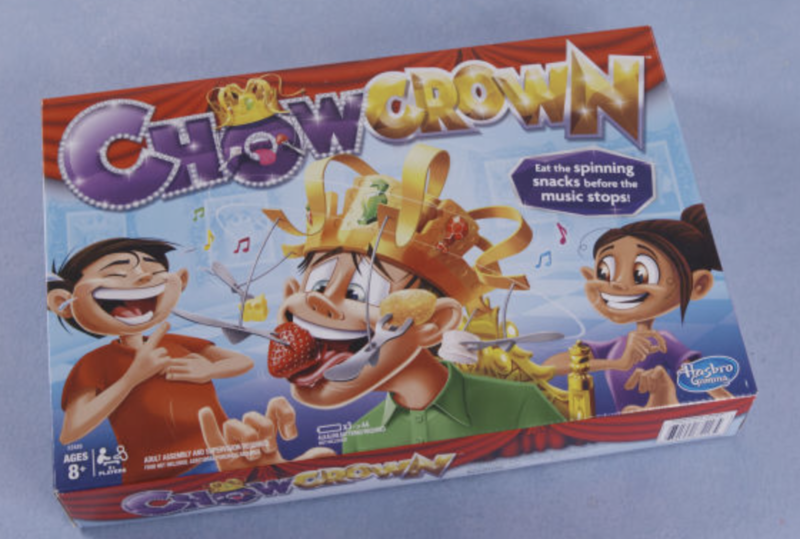 Attendees will be immersed in hands-on, interactive experiences with oversized games such as Pie Face and Toilet Trouble from HASBRO Gaming, photo opportunities with Sesame Street and Trolls costumed characters, epic Beyblade battles, a Play-Doh creation zone and the My Little Pony magical world of Equestria. FANmilies will be able to take photos with props from Hasbro’s movies and step into a custom-built NERF battle arena, maybe even with the guys from Dude Perfect. 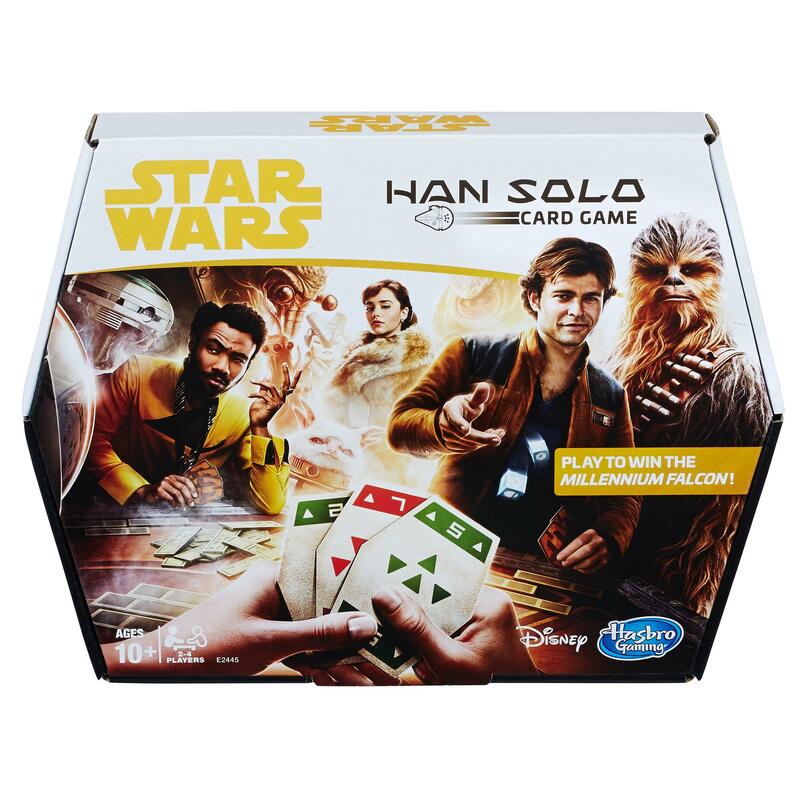 HASCON will also host Magic: The Gathering gameplay featuring an exclusive preview of the upcoming Iconic Masters card set. Youth fans, ages 3-15, have the opportunity to audition for Hasbro commercials and voice talent on our animated series. 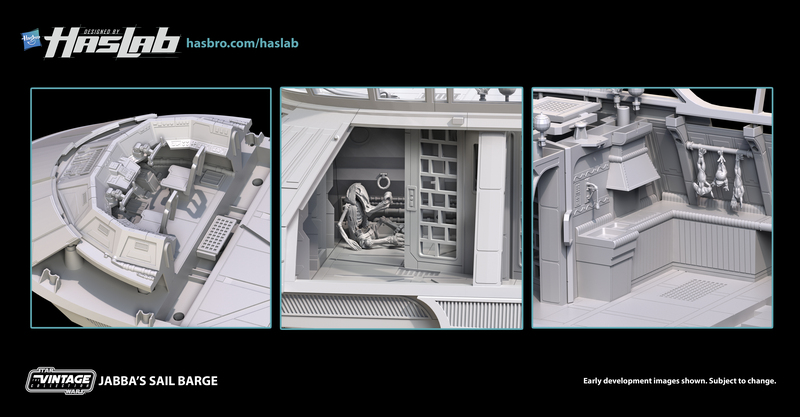 Fans also can purchase exclusive Hasbro toys and merchandise including new Transformers products. Will MONOPOLY fans vote to keep the Scottie dog token in the game? 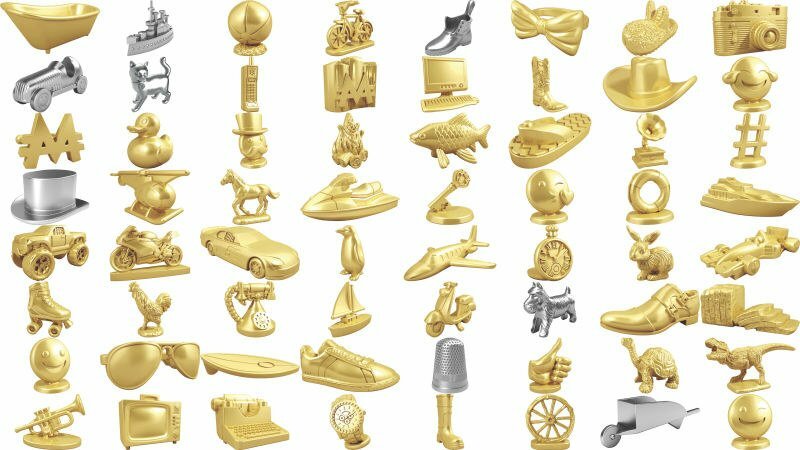 Hasbro today announced the MONOPOLY Token Madness Vote, which leaves the fate of the eight current MONOPOLY tokens, including the Scottie dog, top hat, car, thimble, boot, wheelbarrow, battleship and cat in the hands of the fans. Starting today through January 31, fans worldwide can visit www.VoteMonopoly.com to choose eight tokens that they’d like to see in the next generation of the MONOPOLY game. Fans can pick eight tokens from a list of more than 50 contenders including the current tokens and new options such as a penguin, rubber ducky and bunny slipper. Hasbro will reveal the results of the vote on World MONOPOLY Day, March 19. The fan-picked MONOPOLY tokens will be updated in the MONOPOLY game hitting shelves this August. 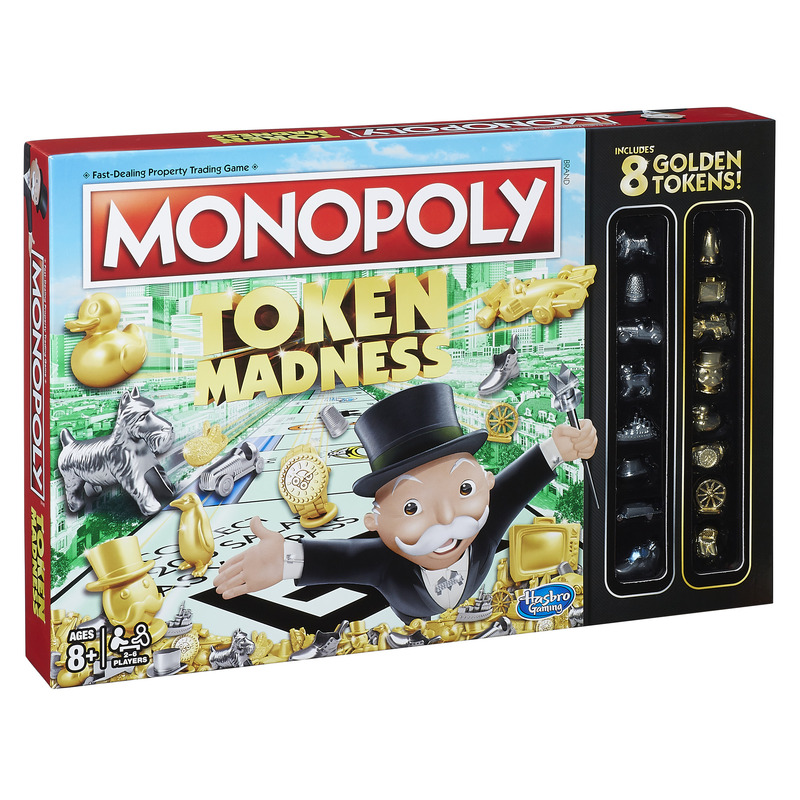 Hasbro will also introduce the MONOPOLY Token Madness Edition which includes the current eight tokens, plus eight golden colored tokens included in the vote, available now for the approximate retail price of $19.99. 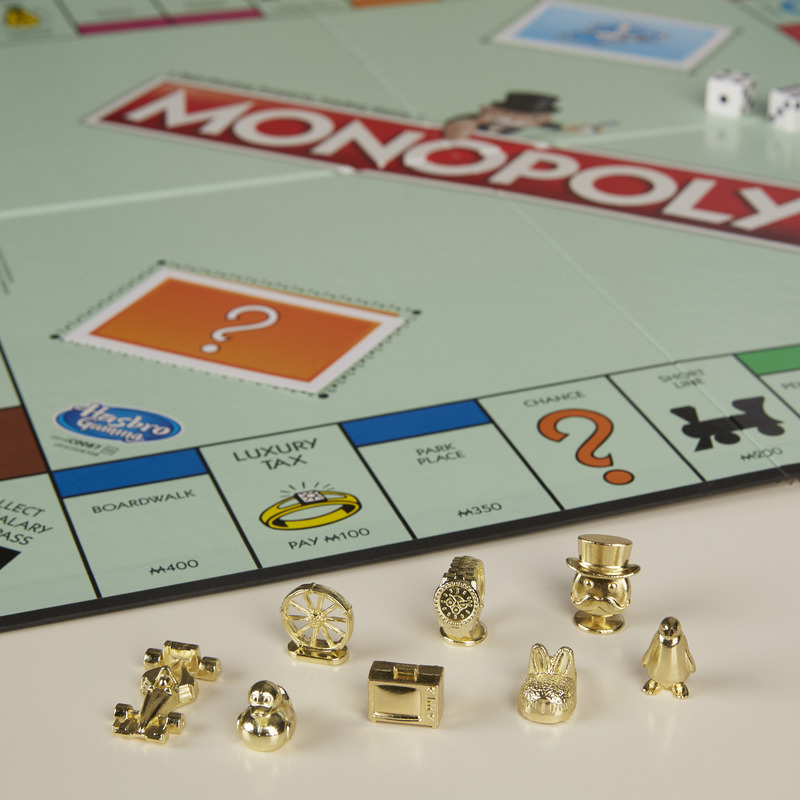 MONOPOLY tokens have been a key element of the game since it was introduced in 1935. 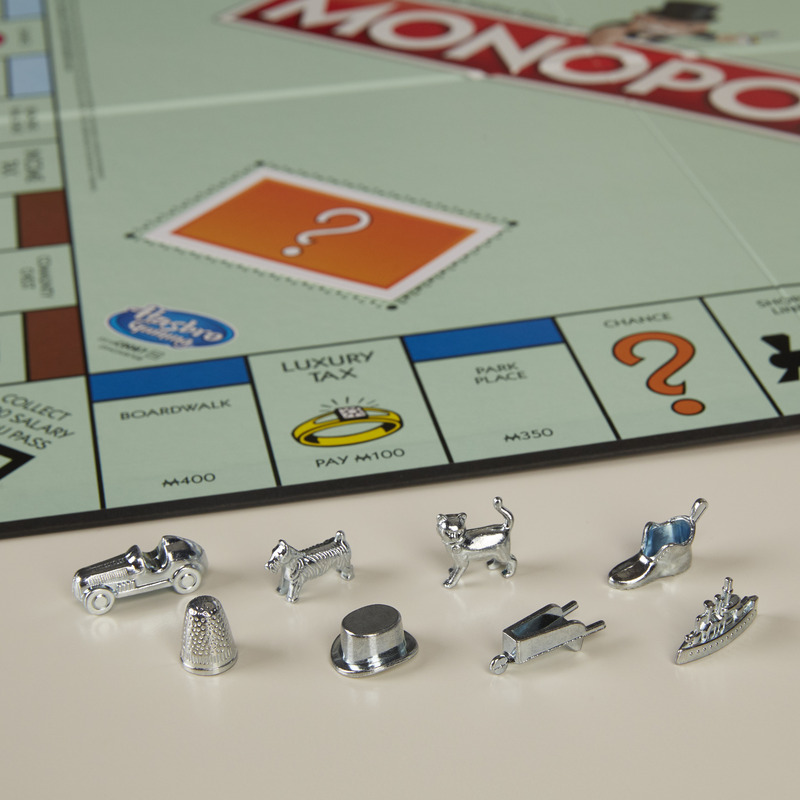 The car, thimble, boot, top hat and battleship were among the original set of MONOPOLY tokens while the Scottie dog and wheelbarrow were added in the early 1950s. 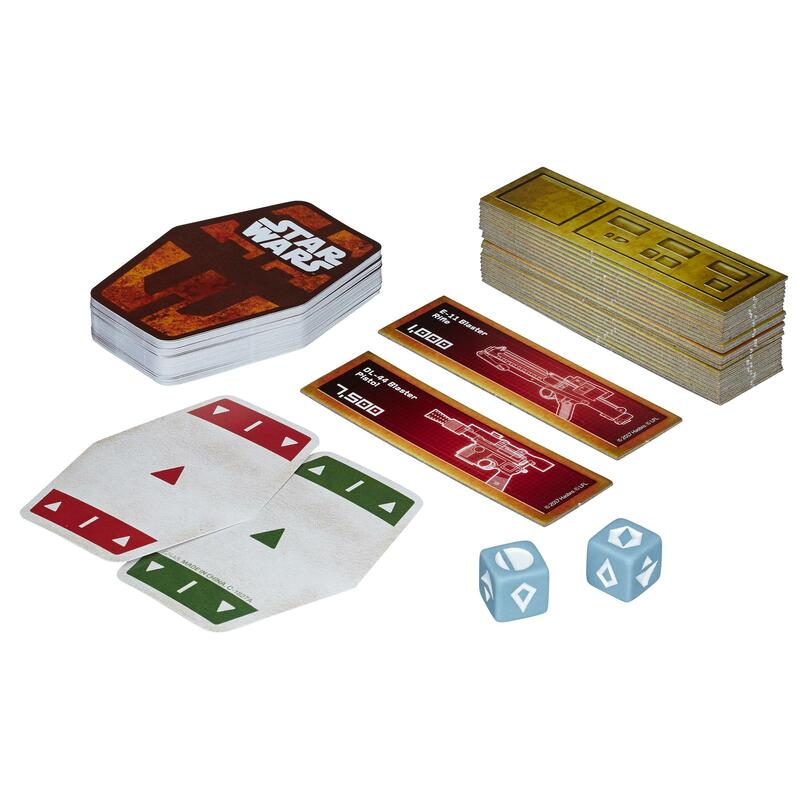 In 2013, fans voted the cat token as the newest Monopoly game piece while the iron token was retired after receiving the lowest number of fan votes.